In our insider's look back at last week, Kendall Rogers looks at teams trending up/down, five players catching his attention and has quick takes on UConn-Houston. • Houston has a solid club, but it needs to figure things out from an offensive standpoint. Jared Triolo is a star and entered the season with high expectations. However, he’s hitting just .266 with four doubles, two home runs and 11 RBIs. Heeds to be more consistent. Meanwhile, Grayson Padgett (.183), Tyler Bielamowicz (.178), Kyle Lovelace (.157) and Lael Lockhart (.204) need to be better. All four have hit the ball in the past, so it’s in there. But they must turn things around sooner rather than later. If not, the Cougars will continue to have execution issues. • Though Triolo struggled offensively over the weekend, he still looked the part at the hot corner. Triolo showed good instincts over there, while also showing an above average arm and accuracy to first base. His physical frame stands out and is a premier prospect if he can get back to hitting with consistency. I’m still buying stock on Triolo, but he needs to get going. 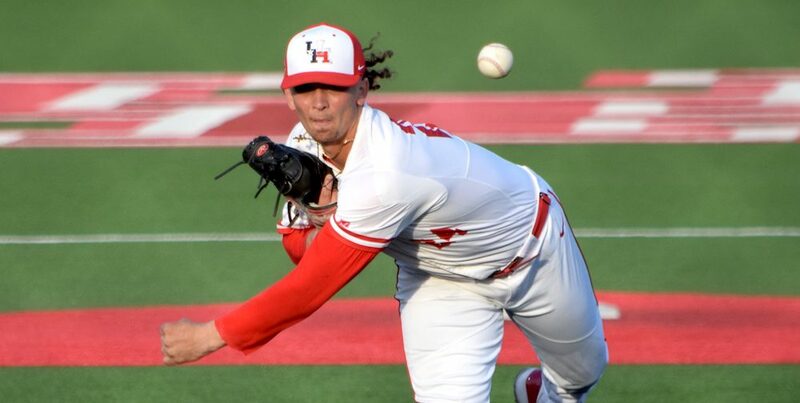 • The Cougars don’t have any blow-away arms in the weekend rotation, but lefty Lael Lockhart and righthander Ryan Randel classify as consummate battlers. Lockhart showed a fastball at 86-88 mph in the series opener, while also having feel for a 79-81 slider, showing a changeup, and also dumping several 72-75 mph curveballs in there. Lockhart doesn’t have a blow-away fastball, so he relied heavily on those breaking balls. 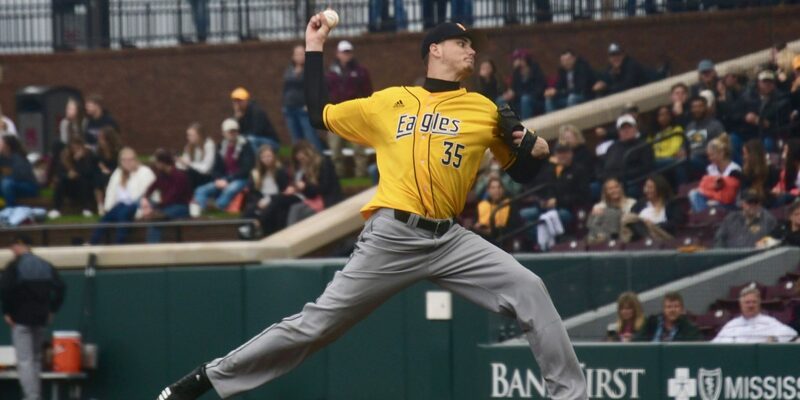 As for Randel, he has a big 6-foot-7, 230-pound frame, and that 88-91 mph sinker is difficult from that tall, downhill angle, at least when he commands it. He also showed good feel for an 85-86 mph cutter, along with a changeup at 81-82 and a curveball at 78 mph that had some late tilt to it at times. In terms of the way he works, Randel reminded me of Texas righty Bryce Elder, who goes heavy cutter when that offering is working. Randel is kind of the same way. Has anyone seen that hat for sale at the games? I haven’t been to one yet this season. Yep. It’s in the trailer gift shop area. Thanks SPE!! – have you seen it at the bookstore or the store by the football stadium by chance? I was hoping to swing up to there at lunch if so. It is usually available at BaseBall game. But they may be sold out as I did not see any at last game. I called the fan shop across the street from the stadium today, I was told the hats were in stock in the store. Drive 30 miles one way to have the lady tell me, “Oh, I thought we had them.” Same lady who I spoke to on the phone. So spent my lunch driving all the way up there for that. Absolute nonsense. Hope to get to a ECU game and check. Thanks MB.